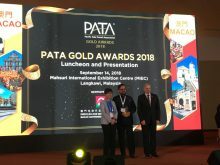 The winners of the 2018 PATA Grand and Gold Awards were felicitated at PATA Travel Mart 2018 on September 14 at the Mahsuri International Exhibition Centre in Langkawi, Malaysia. PATA Gold Award 2018 for Women Empowerment Initiative went to Peak DMC, India, for empowering women through inclusive work and PATA Gold Award 2018 for Heritage was bagged by Sahapedia for India Heritage Walk Festival. SOTC Travel won the award for Marketing Media – Travel Advertisement Broadcast Media while Yalla Kerala campaign of Kerala Tourism, bagged the PATA Gold Award for Marketing Media – Travel Advertisement Print Media. 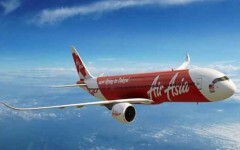 Cox & Kings India won the award for Marketing Media – Travel Brochure, an experiantial showcase of Indian journeys. The Ultimate Travelling Camp (TUTC) won the PATA Gold Award for Marketing Media – Travel Video. This year’s awards attracted 200 entries from 87 organisations and individuals worldwide.